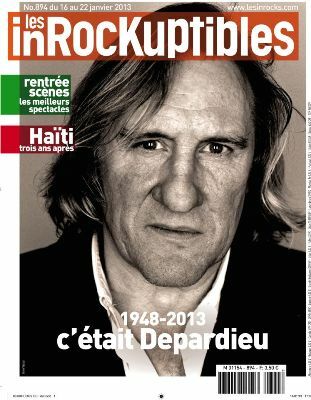 "Depardieu 1948-2013." Buried alive by The Inrockuptibles’ front page last week, the newly Russian actor has not finished making the headlines. According to the music and culture magazine, Gérard Depardieu’s fiscal exile signed his death warrant, a reaction that divides French society and that is not shared in the UK. Either Conservative or Labour, the British do not blame Gérard Depardieu for leaving France. However, they do criticise the way Jean-Marc Ayrault, the current French Prime Minister, insulted the actor saying his attitude was "pathetic". The Guardian considers that “The French government is being typically ambivalent in despising Depardieu for leaving, while desiring to enact the policies that are driving him away”. The situation may deserve criticisms, but the Brits are willing to admit the ridiculousness of it all. "I want to sit on the edge of a lake with a fishing rod, catch fish, wander in birch forests. I love these trees” declared the actor. 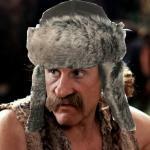 Roland Oliphant, The Telegraph's correspondent in Moscow ridiculed his strong desire for fishing and walks in the woods , in his article “Gérard Depardieu “Building a wooden house so he can go fishing in Russia”: “Depardieu, who has been at the center of the heated debate on tax exiles as France’s Socialist government looks to boost revenue with tax increases for the wealthy, was attracted to Russia not for its 13% flat tax rate, but for the fishing (…)”. "Obelix’s" new home in Belye Stolby is not likely to stop attracting media attention on both sides of the Channel. I thought it was NA Zdaroviya? A new bear for Russia in the shape of GerDep? And, to come, a Big British welcome for Sarkosy and Bruni to live in a posh South Ken house, peut-etre?